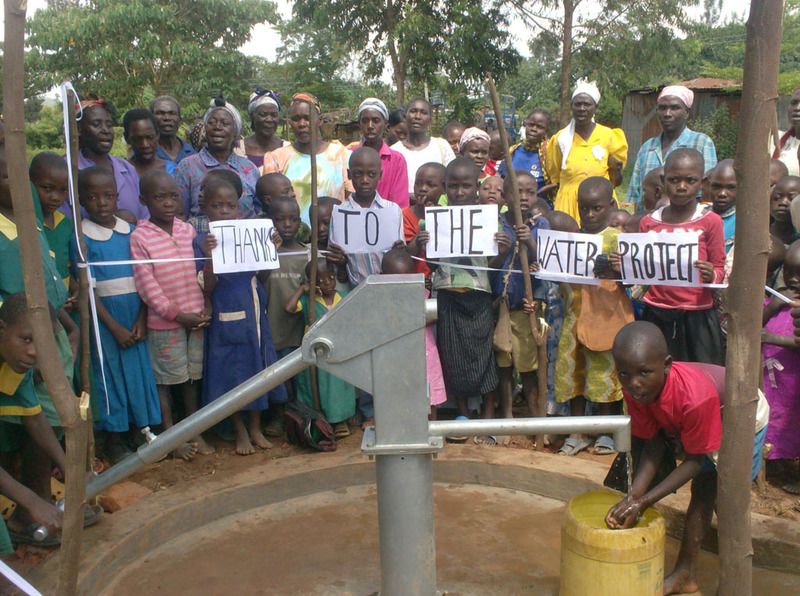 A new well has been completed and handed over to the community at Ark of Orphans Development Project. This local, grass roots organization cares for orphans and helps place children in local foster homes. 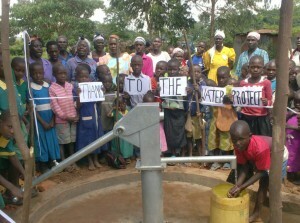 This well project serves the resident orphans, the foster families and the surrounding community. “It was another beautiful day as we arrived at Ark of Orphans offices with the Orphans of Ark looking happy and anxious to be handed over clean and safe drinking water. One could tell as the parents, guardians and community members came in large numbers to witness the handover of the new well. There was one Orphan child of Ark who gave a testimony describing the new well as their only savior. She said that they have been suffering from water related diseases i.e typhoid as a result of taking turbid, muddy water, she also added that they had difficult time to concentrate on their daily activities i.e reading, singing in class instead there were forced to walk miles away looking for dirty water now she believes that this will never happen again with this new well near them. On behalf of the Orphans of Ark she expressed thanks to The Water Project through Bridge Water Project for caring the lives of Orphans by providing them with safe clean water.